Nice rental with 3 bedrooms and 2 full baths, fenced yard, appliances and a screened porch. 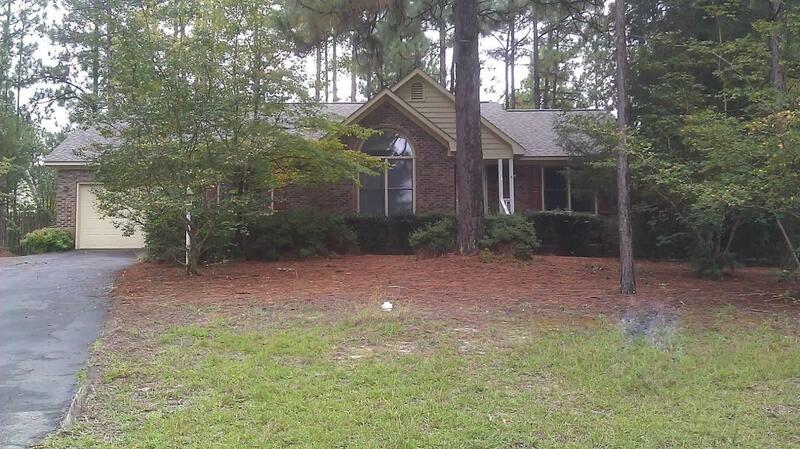 Close to Moore Regional Hospital, easy commute to Fort Bragg, Pope Field or Camp Mackall. © 2019 Multiple Listing Service of the Mid Carolina Regional Association of REALTORS® All rights reserved. The data relating to real estate for sale on this web site comes in part from the Internet Data Exchange Program of the Mid Carolina Regional Association of REALTORS® MLS. Real estate listings held by brokerage firms other than are marked with the Internet Data Exchange logo or the Internet Data Exchange thumbnail logo and detailed information about them includes the name of the listing brokers. The broker providing these data believes them to be correct, but advises interested parties to confirm them before relying on them in a purchase decision. Information last updated on 2019-04-19.